It’s no secret that our emotional state can affect our learning abilities, and although a bit of anxiety about an exam or upcoming assignment is normal, when that stress builds up too much, it can hinder our ability to take in, process, and store new information. 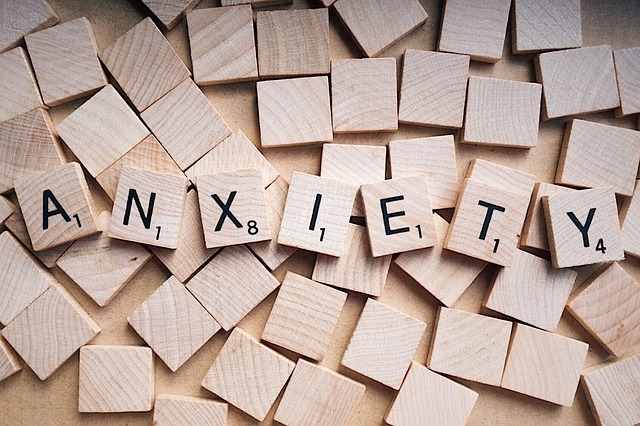 Unfortunately, anxiety is on the rise among students, and according to one study, the number of students declaring a mental health problem has doubled in the last five years. But how and why do stress and anxiety impair our ability to learn? Research shows that when we’re under stress, the brain simply stops forming new connections. This is because stress and anxiety activate the body’s fight-or-flight response and bring on physiological and psychological changes that enhance our ability to react to danger. For instance, our adrenaline levels will rise, our heart rate and breathing may speed up, blood is diverted to the limbs, and our body temperature may increase. If this happens while we’re trying to study, however, the brain essentially blocks access to higher processing, which makes it difficult if not impossible to retain new information. So if you frequently find yourself dealing with stress and anxiety that’s interfering with your studying, here are a few tried and proven tips for managing your learning anxiety. If you’ve been feeling unusually anxious about your learning, it’s important to identify the underlying cause so you can tackle the problem head-on. If you’re unable to identify the source of your anxiety, start keeping a daily journal where you write down the events of the day along with your thoughts and feelings about them. This can help you identify unhealthy patterns and avoid specific things that trigger your anxiety, whether it’s a lack of sleep, unrealistic expectations, or even too much caffeine. Mindfulness is all about being aware of and paying attention to our thoughts and emotions, and research shows that mindfulness training can reduce anxiety and depression. One study from researchers at the University of Cambridge found that mindfulness training can be particularly useful in supporting students who are at risk of developing mental health problems and helping them develop preventative coping strategies. So what did this mindfulness training entail? For the study, students were offered eight face-to-face group-based sessions and were also encouraged to practice 15-25 minutes of mindfulness meditation at home, in addition to mindfulness practices like mindful eating and mindful walking. Students who received mindfulness training had lower distress scores after the course and during exam term. In fact, distress scores for the mindfulness group during exam time fell below baseline levels even during exam time, whereas students who had received standard support became increasingly stressed as the year progressed. Research shows that getting adequate social support is one of the best ways to cope with major life stresses, and people with good social support networks live longer and are healthier than those with few close relationships. With this in mind, if a specific class or subject is causing you anxiety, don’t be afraid to approach your teachers, counsellors, or fellow students to ask for extra support. If you’re studying abroad or in another city, it’s also a good idea to allocate time to socialising and building networks in your new location, in addition to keeping in touch with your loved ones back home. Our mind and body are closely connected, so if you’ve been feeling overly anxious, simply making an effort to eat the right foods, exercise regularly, and get plenty of sleep can already make a big difference to your state of mind. Regular physical activity has been shown to reduce stress and anxiety, and resistance workouts such as weightlifting are linked to reduced anxiety. Research also shows that certain dietary considerations can relieve anxiety. Complex carbohydrates such as legumes, whole wheat bread, or pasta and starchy vegetables, for example, are metabolised more slowly, which can reduce feelings of anxiety caused by dips in your blood sugar level. Another way to manage feelings of anxiety that are related to your learning is to get properly organised by breaking coursework into smaller chunks and setting personal goals and deadlines. Oftentimes, our feelings of anxiety are caused by a feeling of powerlessness, so getting properly organised will help you to regain a sense of control and feel calmer about what needs to be done. If you need some help, check out these tips for scheduling your study time. Researchers have identified a new strategy to tackle stress and anxiety known as “self-distancing.” It involves talking to ourselves in the third person, which can help us distance ourselves from stressful situations and gain some outside perspective. Previous research from Michigan State University also shows that talking to yourself in the third person during stressful times can help you control your emotions without any additional mental effort. So instead of asking “Why am I feeling anxious?” you can simply replace the first person pronoun and ask “Why is John feeling anxious?” It’s a subtle change, but one that can make a big difference in how we perceive our situation and emotions. Since we all engage in self-talk whether we realise it or not, one thing that can have a powerful impact our state of mind is focusing on our inner monologue and becoming more aware of how we’re talking to ourselves. Breathing isn’t something we normally pay much attention to, but when we’re stressed or anxious, we can actually forget to breathe properly and hold in our breath for too long or breathe too quickly, which can cause us to tense up even more and increases our anxious feelings. So whenever you feel yourself getting tense or anxious, focus on breathing in slowly for five counts, and then breathing out for five counts. By the time you’ve done this simple breathing exercise a few times, you’ll already be noticeably calmer and more composed. Most students are no strangers to procrastination, and according to one survey, between 80 and 95 percent of students procrastinate. But while it’s true that procrastination can be a student’s worst enemy, some experts believe that it’s possible to use this tendency to put things off for good. In his book Wait: The Art and Science of Delay, University of San Diego professor Frank Partnoy points out that there are two types of procrastination: active and passive. Passive procrastination is a decidedly negative thing because it prevents you from getting things done. Active procrastination, on the other hand, can be a positive thing, because it involves delaying one task while you work on another important task instead. So if you’re feeling anxious about tackling a particular learning task, you can temporarily put it off and still remain productive by crossing other important tasks off your to-do list. Not sure how to make it work for you? Check out this article for tips on how to procrastinate more productively. Sometimes when our stress and anxiety builds up too much, what we really need is some downtime to recharge our batteries and relax. So if you’ve been feeling unusually tense whenever it’s time to study, you might need to start scheduling some downtime the same way you would any of the other important responsibilities in your life. Even if you feel you can’t afford to take a whole day off, make a point of scheduling at least an hour each day where you can turn off your phone, put away your laptop, and do something that totally relaxes you, whether it’s taking a nap, listening to music, or going for a nature walk. Have you ever struggled with stress or anxiety that made it difficult to focus on your learning? If so, what strategies did you use to relax and get refocused? I have been having this issue and it is not easy. Now, my mind is very clear thanks to your suggestions. I am going definitely to apply them each day. I read this article, out of suggestion from one of my friend as i was facing the issue you are talking about. Great set of points, I would follow them to check the results. Nice Article, I liked your this article and I have also faced this problem..